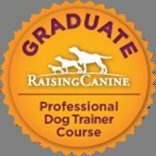 Training dogs or any other animal includes more than just 1 method of training. Even though I would be classified as a positive reinforcement trainer it's not completely accurate. I make use of both positive and negative reinforcement but apply what I do in the most positive way possible. Positive means to add something that is reinforcing to the animal to increase a behavior and negative means to take something away to increase behavior. Where as punishment positive or negative decrease behavior. This is very basic an explanation as there is a bit more to it but is the foundation of training. The key is to use treats for only precise behavior and not for weak behaviors. If not, your dog will give behavior randomly and not always when given the cue. The dog will also not learn to cope with frustration and can become rather reactive which means that your training has become aversive to your dog even though you are making use of treats. Just like with kids; dogs need boundaries and we need to be clear on where we set them. This makes them feel safe and they know what is expected of them. It just simply means that the word NO has a consequence. 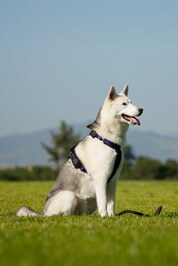 After the consequence the dog needs a chance to give the right behavior again. By adding a consequence you are deleting confusion. Timing with treat delivery and if you are using a clicker needs to be precise so that you do not accidentally reinforce the wrong behaviors. Let's say I work with him in hand and ask him to do a leg yield. (Stepping to the side by crossing his legs over) instead he walks forward. Immediately I would then back him up as a consequence telling him no that's not what I want and then reapply the cue/aid again immediately asking for the leg yield. If he gets it right accurately I will click and reinforce him. Then I will only reinforce him positively for doing the leg yield responding of a light pressure within 3 seconds from applying the aid. Once he can do that I will ask him to do the same behavior but in 3 sets of 3 only positively reinforcing for accurate behavior of 3 sets of 3. Now this is all very horsey, but it's the same with dogs... No one wants a dog to just give a behavior when he sees a treat, we want a behavior from our dogs as a response to a cue not because of a treat. This why we call it force free training, the dog is not forced into doing something he has options and learns through our response to his behaviors what works for him.